Some shoes are meant for work. Other footwear is meant for play. Some are made for both. If you want to combine the comfort and performance of sports shoes with the durable reliability of work footwear, you need to get a pair of these Reebok RB4625 Men's Black Heck ... (see full details) (see specifications) #RBKRB4625. Some shoes are meant for work. Other footwear is meant for play. Some are made for both. If you want to combine the comfort and performance of sports shoes with the durable reliability of work footwear, you need to get a pair of these Reebok RB4625 Men's Black Heckler Composite Toe Athletic Shoes. The upper in these Reebok shoes is Nanoweb, a synthetic overlay that's flexible while adding durability and support. This helps you to move freely while providing toughness to get you through your work day. That's not the only thing adding toughness. These composite toe shoes feature an XTR-brand extra-wide composite toe cap to protect you from impacts. They meet ASTM F2413 safety standards and also feature a static-dissipating dual resistor to help prevent the sometimes harmful build-up of static electricity in various work environments. Not only will these ESD shoes help keep you safe on the job, they'll also keep you comfortable. The nylon mesh lining encourages breathability and airflow through the footwear, so your feet stay cooler and drier. The injected EVA cushion insert insole is soft, light, and flexible so you'll really feel some spring in your step. It's also removable for easy cleaning. Match this with the lightweight injected EVA cushion midsole and your feet will be ready for overtime. But the comfort and safety features don't end with the insole and midsole. The outsole of these safety toe shoes features a four-density construction with a 1) two-tone rubber bottom, 2) an injected EVA heel, 3) a one-piece polyurethane gel system, and 4) a lightweight injected EVA cushion midsole. Not only does this combination offer good resistance to abrasions, slips, and chemicals, it also creates comfortable, shock-absorbing Reebok shoes that you can wear to work or to the park for a game of pick-up basketball. Work or play? You decide in a pair of these Reebok RB4625 Men's Black Heckler Composite Toe Athletic Shoes. My wonderful wife brought me these shoes and they are so comfortable. I'm on my feet all day and these shoes are breathable and comfortable. This is one of the best purchases she made for my feet. I have recommended the shoes to my coworkers. Great shoes that are very comfortable and Breathable! These shoes are lightweight and have good grip. They look nice and most people don't know they are saftey shoes. I wear them all day and my feet feel good at the end of the day. I have been wearing Bates Boots for some years now and decided to try a pair of work sneakers. After one week I am pleased with these shoes. They are comfortable and very supportive. I would recommend these shoes. While these shoes are very comfortable, they are not durable at all. I should have know that mesh will not hold up if you work in a warehouse. I have managed to shred the top of these shoes with minimal incidences. If you are looking for durable toe protection, look elsewhere. Looks good, lightweight and comfy. I bought these shoes because I was tired of having these ugly, boring, bulky steel toe shoes like the rest of my co workers have and honestly I hate that bulky style. For a better price I scored these steel toes and I am the only one in my group with brand name steel toes and they aren't ugly or lumpy. Worth every dollar you pay for them! 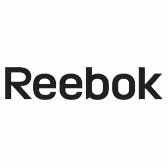 Reebok Shoes: Men's RB4625 Composite Toe ESD Athletic Work Shoes is being added to your cart.